bb added inline comments to rP20939: Garrisoned units are lost after an upgrade towards a non garrison holder. bb accepted rP20393: Move out of world promoted, packed and upgraded entity as they are not…. bb accepted D1826: Fix missing parenthesis in the AI. bb added inline comments to D1737: Slight cleanup of fogging OnDestroy and some comments. bb committed rP22191: align the footprint an obstruction size with the model size for the kush range. bb committed rP22190: unparent the range from the barracks, and reduce the duplication in the civs'…. bb closed D1791: Separate range from barracks. bb accepted D1791: Separate range from barracks. bb updated the diff for D1398: Implement a press action to be called upon the first keyDown message of a hotkey and use keydown for current press. bb accepted D438: Change Run Speed into a Run multiplier. bb added a comment to D1815: match unit classes with templates. bb added a comment to rP22188: Move tooltips on gamesetup dropdowns from xml to js, since by current gamestup…. bb committed rP22188: Move tooltips on gamesetup dropdowns from xml to js, since by current gamestup…. bb closed D594: Fix tooltips not used in gamesetup. bb accepted D594: Fix tooltips not used in gamesetup. 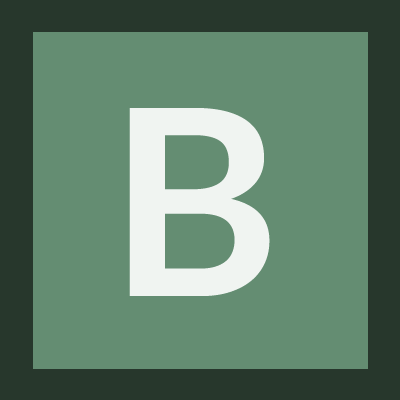 bb added inline comments to D1776: Cleanup Timer.js and update documentation. bb committed rP22187: Handle orderone hotkey also for the minimap. bb closed D1822: Handle hotkey to order only one unit on minimap. bb accepted D1822: Handle hotkey to order only one unit on minimap. bb committed rP22182: Add ConquestCritical to structures that want it, instead of removing it from…. bb closed D1626: -ConquestCritical clear-up. bb accepted D1626: -ConquestCritical clear-up. bb committed rP22181: Reduce duplication in template_structure_military*. bb closed D1793: reduce template_structure_military* duplication. bb accepted D1793: reduce template_structure_military* duplication. bb added a comment to D1796: create template_defensive_palisade.xml. Whatever makes sense compared to the other palisade structures. e.g cost wise a rocks_curve is pretty similar to a rocks_long, right? bb added a comment to D1803: Communicate field diminishing returns to the player. bb added inline comments to D1822: Handle hotkey to order only one unit on minimap. bb added a comment to D1810: Improvements to the translators credits script. I get that ppl can choose whatever name they want, but who is named 4c905de7e2c9950b7d83273a8070b072 (second one in the german list)? I tried finding him/her in transifex but no luck. bb added inline comments to D1651: aiTips gamesetup cleanup. bb added a comment to D1819: Make capture attack work with units with BuildingAI..
bb committed rP22169: recieve -> receive. bb committed rP22166: Remove an unused variable. bb closed D1813: Remove unused variable from CInput. bb committed rP22165: Update the wonder victory timer in case the wonder renames..
Update the wonder victory timer in case the wonder renames. bb closed D1732: Wondervictory entity rename. bb added a comment to D1732: Wondervictory entity rename. bb added inline comments to D1765: Gaia templates' <Selectable> clean-up. bb requested changes to D1796: create template_defensive_palisade.xml. Checked the difference between the templates as they are loading in game (by printing them out), it resulted in a number of actual changes, giving them below, some of them are not a problem (or actually make sense), a few need to be addressed. bb accepted D1813: Remove unused variable from CInput. bb committed rP22163: Remove unneeded death sounds from structure templates, as they inherit from…. bb closed D1795: remove unnecessary building_collapse_large sounds. bb accepted D1795: remove unnecessary building_collapse_large sounds. bb added inline comments to D1806: standardized structure aura descriptions. bb requested changes to D1702: GUI addon to animate objects proprieties. As elexis mentioned the color animation would in the vanilla game be dead code, thus that shouldn't be there. Ofcourse it could be useful later, so I would propose to implement the system for the size only, but keep it extendable so the color could easily be added when required. bb added inline comments to D1810: Improvements to the translators credits script. bb committed rP22132: seige to siege . bb closed D1797: seige → siege. bb accepted D1797: seige → siege. bb committed rP22129: Add "At Least" to the front of the disabledTooltips. bb closed D1792: X units required -> At least X units required. bb accepted D1792: X units required -> At least X units required. bb added a comment to D1613: Improve the plural translation of the "<players> have won" string. Code should stand on itself, not referring to a phabricator revision. But isn't markForPluralTranslation designed to cover this case? So how does this solve the issue? Furthermore markForPlural expects 3 arguments, now it only has 2.
bb added a comment to D1792: X units required -> At least X units required. bb added a comment to D1791: Separate range from barracks. bb committed rP22120: Change structure_defense to structure_defensive so it is consistent with the…. bb closed D1788: rename template_structure_defense* to *defensive*. bb accepted D1788: rename template_structure_defense* to *defensive*. bb added a comment to D1788: rename template_structure_defense* to *defensive*. bb committed rP22118: Remove a misleading unit_fauna_decorative from the bird template. bb closed D1787: rename template_unit_fauna_decorative to template_bird. bb accepted D1787: rename template_unit_fauna_decorative to template_bird. bb committed rP22116: Nuke the misleading Structure_Defence from the wallset template name. bb closed D1733: Rename wallset template. bb committed rP22115: Move the fish template under template_gaia since fish is a resource like trees…. bb closed D1774: Change fish parent to gaia. bb accepted D1774: Change fish parent to gaia. bb added a comment to D1774: Change fish parent to gaia. bb accepted D1543: Don't require application restart to change the pauseonfocusloss option. bb accepted D1171: Move more things in the projectile part of the Attack component. bb added a comment to D1171: Move more things in the projectile part of the Attack component. bb committed rP22114: Also align the chat, refs rP22111. bb added inline comments to D438: Change Run Speed into a Run multiplier. bb added a comment to D438: Change Run Speed into a Run multiplier. bb added a comment to rP22111: Align the settingspanel with its background, fixing te misalignment itroduced…. bb committed rP22113: Fix a broken early return from rP21378. bb added a comment to rP21378: Allow units to be positioned with freehand placement. bb requested verification of rP21474: Implement combine victory conditions. bb committed rP22112: Add autostart conquest default description to readme.txt and add endless…. bb requested verification of rP21957: Only update the gamesetup settings panel position when it actually changes..
bb committed rP22111: Align the settingspanel with its background, fixing te misalignment itroduced…. bb closed D1755: Fix line misaligment in gamesetup settings..
bb accepted D1755: Fix line misaligment in gamesetup settings..
elexis awarded rP21957: Only update the gamesetup settings panel position when it actually changes. a Manufacturing Defect? token. well from a ownershipchange we can't see if it will be a rename, so when the new ent is brought up, we don't know it actually replaces another (one could change the entitylimits and allow two wonders, so an owners check wouldn't work), so the new timer will always be activated, which afterwards needs to be removed. Also from the destroy we don't know if it is a rename (one could very well create and destroy different wonders at the same turn), so we have to do it with the ent rename. bb added inline comments to D1727: Update auras when a formation member renames. bb accepted D1733: Rename wallset template. bb requested verification of rP21378: Allow units to be positioned with freehand placement. bb committed rP22030: Fix missing assignment from rP21378. bb closed D1656: Bugfix rP21378. bb accepted D1656: Bugfix rP21378. bb created D1732: Wondervictory entity rename.